With the PRIMESPORT FlexPay Payment Plan, you can secure your package with a Low Deposit at time of purchase and choose your preferred frequency of payments towards the total package price. Paying for your Ultimate Bucket List Sports Experience is as easy as 1-2-3! Pay a Low Deposit at the time of purchase. Then, split the remaining balance into equal monthly installments that are automatically drafted from your payment method on-file. Pay a Low Deposit at the time of purchase. Then, pay the balance in one final installment once the event date approaches. Final payment date can be found in Step 1 of the package booking process. Ready to secure your experience and don’t want to worry about future payments? Pay in full at time of purchase, and we’ll send all your necessary travel documents a couple weeks prior to the event! 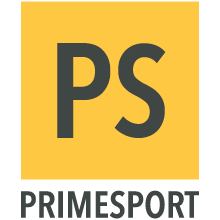 All purchases are subject to the PRIMESPORT Purchase Policy. For more details, click HERE.